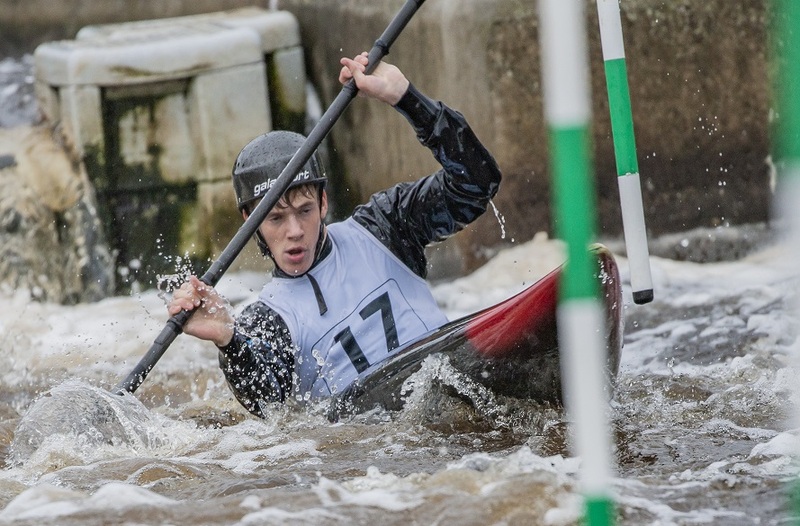 NTU first year and sport scholar Jake Brown has made waves this winter after recently clinching gold at a Premier league Kayak Slalom race. 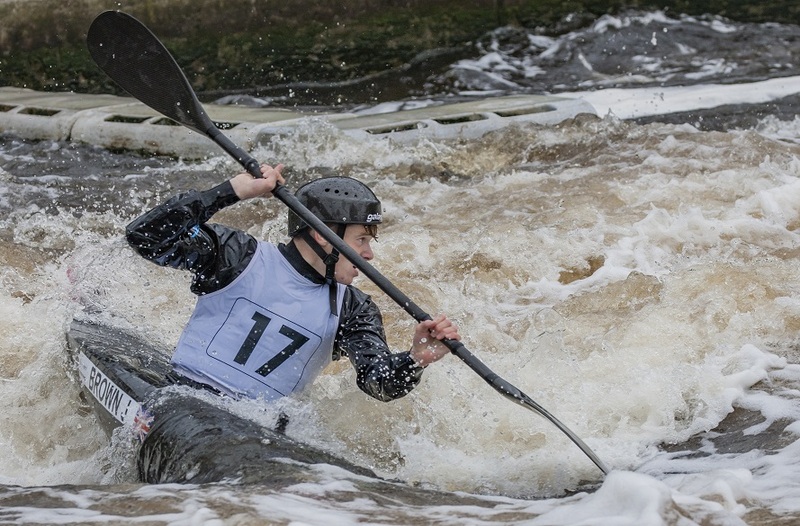 NTU first year and sport scholar Jake Brown made waves this winter after recently clinching gold at a Premier league Kayak Slalom race. 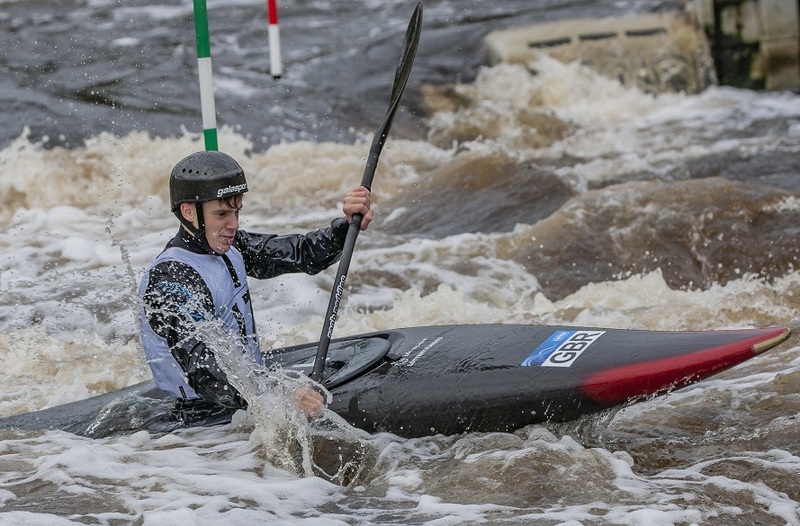 The race took place over the weekend of 13-14 October at Tee Barrage International White Water Centre, Jake’s hometown and the centre where he became first involved in the sport. The young scholar faced a turbulent competition, going head to head with the best paddlers in the country, and 66 competitors in Jake’s race: the K1. Despite having his work cut out, Jake managed a winning time of 112.78 seconds on his first run of the day, with his nearest rival Zachary Franklin of the Windsor and District CC registering a time of 112.95. Jake said: “I have been close all season to getting on the podium but have made a few technical errors so it was great to achieve my best ever finish in the last race of the season, and it was made sweeter by doing it on my home course. Hooked from a young age, Jake went on to become Division Champion in the sport, before being selected as part of the English performance Squad and then for the U18 GB team this year. He has proven himself consistently on the international stage this summer, coming in second at the European championship heats, and then fifth at the World Slalom Kayak Championships in the K1 team event and 27th in the individual. Jake is a member of his home side, Tees Tigers and Tees Active Sports Academy. He was recently shortlisted for Teeside’s Future Star sports awards and announced as runner up. He will now do the bulk of his training at Holme Pierre Pont: 10-13 varied sessions per week of cardio, conditioning and physical flat and white water practice. Jake said: “What I love about the sport is the variation and amount of variables you have to deal with on the water, it's never the same. The feeling of accomplishing a difficult move as smoothly and as fast as possible is very satisfying. “This is my first year at under 23 level and I really want to get onto the GB U23 team for 2019 and compete at the European and World Championships. Also, I am aiming for a top five ranking in the premier division by the end of the year - I am currently in 10th. “My ultimate goal is to race on the world cup circuit and compete at as many big races as possible against the best. The end goal is to be considered one of the best of the era." NTU Sport is proud to be represented on both the university, national and international stage by talented scholars like Jake.